We’re all consumers, and we know from our own behaviour that our expectations are evolving as technology evolves, which is becoming increasingly rapid. So, it’s not surprising to learn that, according to a Salesforce study, 58% of consumers believe that technology has significantly changed their expectations of how companies should interact with them. 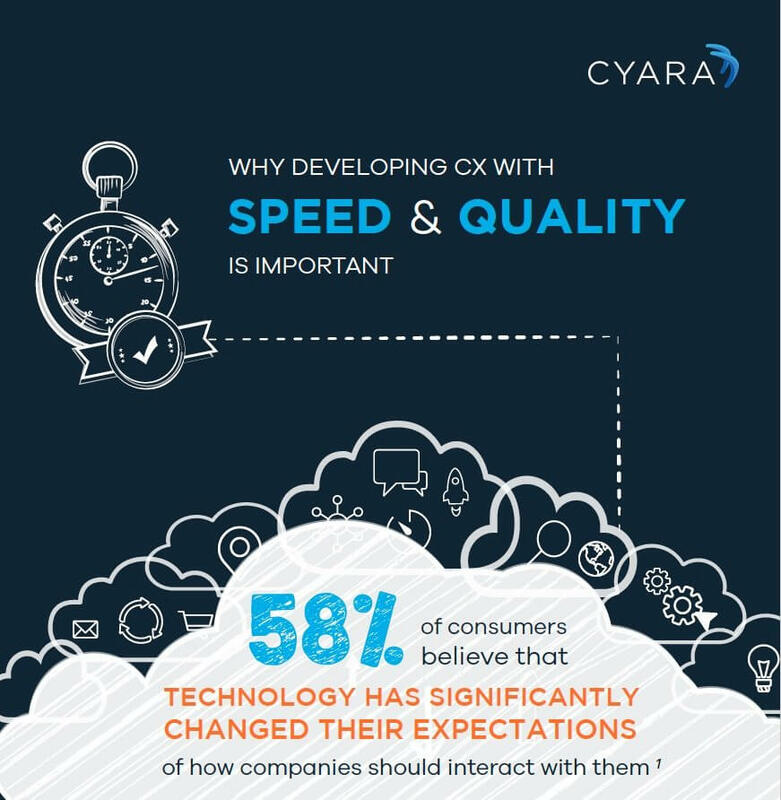 And those expectations are high — 78% expect to leave a service interaction feeling good about their experience. That is why organizations are using an average of 11 interaction channels to engage with their customers. Delivering a better customer experience is a key contributor to business success. Forrester took a look across 14 different industries to identify the relationship between a good CX and growth potential. Depending on the industry, growth was measured either in terms of revenue, total assets under management or total growth in customers. Across all industries, improvements in CX showed a positive impact on growth — even in relatively non-competitive industries. More pointedly, Aberdeen Group found that organizations with a strong omnichannel strategy saw 9.5% YoY revenue growth, versus 3.4% revenue growth for those with a weak omnichannel strategy. Despite these compelling data points, organizations still fall short. According to the Temkin Group, only 19% of companies rate themselves as delivering a good CX across channels, and only 21% rate themselves as delivering good CX on the phone with self-service. Feedback from consumers paints an even more dire picture of the quality of CX. Why is there a gap between the CX companies want to deliver, and the CX they are delivering? Managing a rapidly changing technology environment and developing at an accelerating pace is no small feat. To address this gap, and fuel their success, many organizations are adopting Agile development and automation. In fact, 68% of companies identify agility as one of the most important strategies for success. 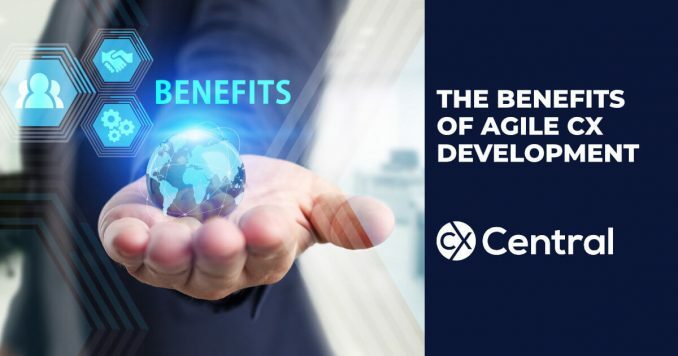 With all these benefits, it’s no wonder that the most agile companies in any specific industry are, on average, 2.7 times more successful than their peer group. And, when looking at the types of projects on which companies use agile, the customer is king. It’s the projects closest to the customer where companies apply agile, with customer experience, innovation, product management, and sales and service topping the ranks. Test Automation Turns a Downward Spiral into a Virtuous Circle! Automation enables organizations to speed development, and testing is the prime area for automation. Testing typically takes up a significant portion of development time — often around 35%. Because it’s such a substantial amount of development time, as schedules slip, testing often gets short-changed. And, with test coverage averaging at best 20%, reducing test time can cause a downward spiral of bad code, resulting in unplanned work, resulting in slipped schedules, resulting in bad code, and so on. By automating testing, organizations increase test coverage as well as improve quality, which means less unplanned work, and more time spent on productive, new features. A virtuous circle is born!